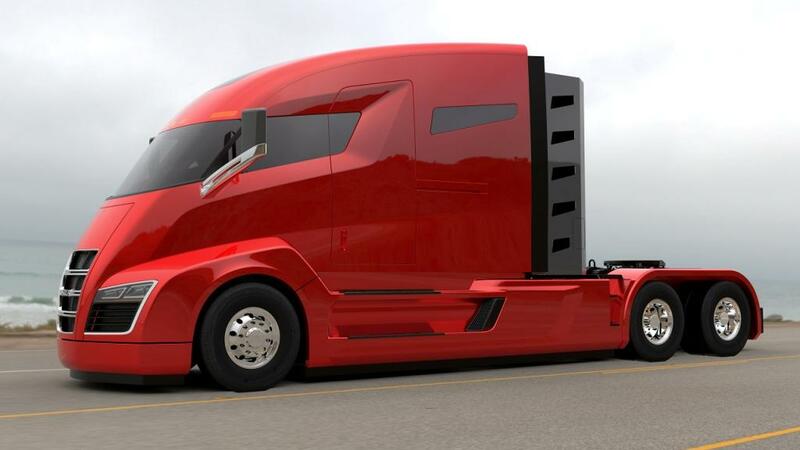 With Tesla Motors pretty much cornering the market on public perception of what an electric car should be, a new electric vehicle (EV) company called Nikola Motors is ready to launch a $375,000 natural gas-electric hybrid semi truck called the Nikola One. The name Nikola comes from inventor Nikola Tesla (1856-1943), who is also posthumously lending his name to that one company Elon Musk is running. While the names are an obvious connecting thread, the Nikola Motor Company will not be competing with Tesla Motors unless Musk decides to enter the electric semi game. The Nikola One is not all-electric. On top of a 320-kWh battery pack, the 2,000-horsepower Nikola One will have a 536 horsepower (400kW) fuel-agnostic turbine (the standard model will have a natural gas tank) that sends power to the battery. Nikola says that its truck will be able to operate at half the cost per mile of today's diesel trucks. With a full tank of 150 gallons of natural gas, the Nikola One will be able to go 1,200 miles between fill-ups. And, for the first 5,000 customers, the company will provide 100,000 gallons of free natural gas at its planned network of CNG stations and company-owned natural gas wells. The 100,000 gallons are enough, Nikola says, for a million work miles. Nikola Motors is accepting refundable $1,500 deposits from today. Nikola's custom electric motors operate at 95% efficiency; so when it comes to hills they are quicker going up, and they save money going down. While other trucks are losing energy and riding their brakes, Nikola One is capturing energy, recharging batteries - saving brakes, noise and money. While diesel engines require high RPM's to reach peak torque, Nikola's electric motors hit peak torque almost instantly. Instant torque combined with all wheel drive give Nikola One the ability to accelerate nearly 2x faster than a stock diesel tractor. When pulling at max capacity, every pound counts. With nearly 2,000 lbs of weight savings on the chassis, owners can throw more goods on each load. Every pound after max load may be worth as much as $.50. 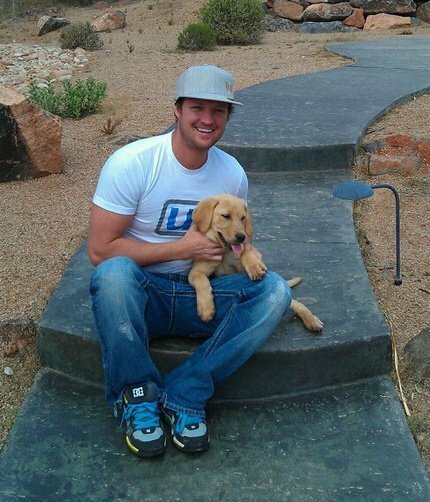 By saving up to 2,000 lbs, owners could earn approximately $1,000 in extra revenue from every load, every day. Owners that run at full load could see up to $30,000 or more each month in revenue straight to the bottom line. Safety standards require trucks to stop under full load in under 300 ft.
With 6X6 regenerative braking and air disk brakes, our electric semi truck can stop nearly 2x faster than any other semi truck on the market - cutting stopping distance in half. Nikola One begins braking within 10 milliseconds; hundreds of times faster than advanced air-only disc brakes. Negative torque applied by the same electric motors brings braking to a whole new level. Without a heavy, noisy, cumbersome diesel engine in the front of the vehicle, Nikola was able to move the driver forward, add a panoramic windshield, and give the driver better visibility from more angles. This means safer driving, better visibility and less accidents. Diesel powered tractors have a high center of gravity due to the natural placement of the engine and weight of the cab to support the engine. 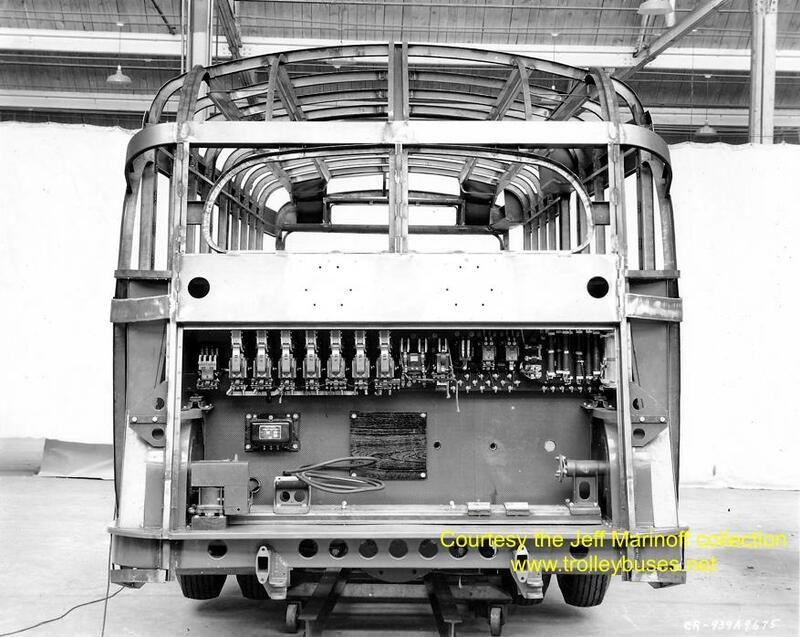 Nikola has lowered the center of gravity by removing the diesel engine, transmission, emissions equipment and installing batteries, electric motors and a turbine below the frame rail. This keeps the center of gravity lower than any other semi truck on the market. Lower center of gravity means more control and safer driving. Torque vectoring is one of the most advanced features for heavy duty trucking. It allows control of each wheel independently through drive-by-wire. By communicating with the motors up to 30 times a second, the speed of each wheel can be adjusted while cornering, maneuvering, accelerating and braking - making it safer for drivers. SALT LAKE CITY. May 10, 2016-- Nikola (pronounced Neek-oh-la) Motor Company (NMC), named after the famous electrical engineer Nikola Tesla, was quietly formed by Founder and CEO Trevor Milton years ago to design and manufacture electric vehicles, energy storage systems and electric vehicle drivetrain components. With the first working prototypes displayed to the public later this year, the company will launch a 2,000 horsepower, electric semi-truck, dubbed "Nikola One", and a 520 hp, 4x4 electric UTV with a code name of "Nikola Zero." While the majority of the semi-trucks components are being developed by Nikola, the company also co-designed the industry's first ever independent suspension with Meritor. "By working together with some of the top engineering firms in America, we were able to design vehicles that have previously been thought impossible to design," said Milton. "We want to even the playing field and income inequalities seen between owner operators and fleets for the first time in recent trucking history. This is just the beginning of what's ahead for America, our company and the electric vehicle market," added Milton. Front Axles Nikola 12-14.6K lbs. Rear Axles Nikola – Tandem – 40-46K lbs. Nikola Motor Co., named after electricity pioneer Nikola Tesla, has announced that it's developing a 2,000-hp, all-wheel-drive, hybrid-electric truck-tractor with a turbine range extender whose operating costs will be one-half that of a diesel tractor. The company is designing the majority of the components for the vehicle, called Nikola One, and with Meritor has co-designed an independent suspension for use with the truck, said Trevor Milton, the firm’s founder and chief executive officer. Electricity will go to six 335-hp motors, one at each wheel, developing a total of 2,010 hp and 3,700 lb-ft of torque. The motors will also act as generators to recharge the battery during regenerative braking. The proprietary turbine, which can be set up to burn many common fuels including diesel, gasoline or natural gas, automatically spins the generator to charge the batteries when needed. The vehicle's range will be 1,200 miles on 150 gallons of fuel. Nikola One will pull a loaded trailer with a designed gross combination weight of 80,000 pounds up a 6% grade at 65 mph, Milton said. Because its electric motors are geared to the wheels, there's no transmission and the truck will be easy to drive. The first working prototype will be displayed publicly later this year, he said, and as of Tuesday, the company is taking reservations with $1,500 deposits. Milton formed the company a decade ago to design and manufacture electric vehicles, energy storage systems and electric vehicle drivetrain components. Previously, Milton was CEO of dHybrid Systems, a natural gas storage technology company that was acquired in October 2014 by Worthington Industries. For more information on the Nikola One, click here. An automobile company named in his honor, Tesla Motors, is poised to revolutionize America’s highways. Another similarly named company, Nikola Motor Company (NMC), seems poised to do the same for transportation. Trevor Milton founded his company to design and manufacture electric vehicles, energy storage systems and electric vehicle drivetrain components. With the first working prototypes expected to be displayed to the public later this year, the company plans to soon launch a 2,000 horsepower electric semi-truck, Nikola One. The company says Nikola One is capable of pulling a total gross weight of 80,000 pounds and offers more than 1,200 miles between stops. The majority of the truck’s components are being developed by NMC, but the company turned to Meritor for help in co-designing the industry’s first-ever independent suspension. Nikola One’s fully electric 335 horsepower motor features a dual gear reduction at every wheel (6×6). Combined, the truck outputs more than 2,000 horsepower and 3,700-plus ft. lbs. of torque before gear reduction, and nearly 86,000 ft. lbs. of torque after gear reduction. The first-of-its-kind independent suspension system, based on Meritor’s all-wheel drive ProTec High Mobility Independent Suspension*, reduces vibration and boosts ride quality and a unique steering geometry improves tracking, centering feel and intuitive feedback. By removing the diesel engine and transmission, and manufacturing the cab out of lighter carbon fiber panels, the truck builder says it was able to install many of Nikola One’s heaviest components at or below the frame rail, lowering the center of gravity and improving safety. Additional benefits of removing the diesel engine, Milton says, include the reduction in greenhouse gas emissions, a larger and more aerodynamic cab and a quieter and more comfortable ride. Without a transmission, the only thing needed to make the Nikola One go or stop is the electric pedal and brake pedal. “No shifting whatsoever,” Milton says, adding Nikola One’s simplified operation will open up the line haul market to a new group of drivers. Nikola One’s electric motors are powered by a liquid cooled lithium-ion battery pack, which is charged by an onboard turbine. The fuel agnostic turbine automatically charges the batteries when needed, eliminating the need to plug in the unit. The turbine, Milton says, burns about 25 gallons of fuel per hour and, when coupled with the batteries, gives the truck a range of about 1,200 miles between stops and fill ups. Going downhill, the Nikola One’s six electric motors absorb the braking energy normally lost and deliver it back to the batteries. Because there is an electric motor at each wheel, the Nikola One’s software provides dynamic control to each wheel. Torque vectoring controls the speed and torque of each of the six wheels independent of each other at any given moment. NMC says its cab is 30 percent larger than its more traditional counterparts, and its aerodynamics reduces the drag coefficient by nearly 5 percent over most trucks currently on the market. The Nikola One’s cab features a sliding mid-entry door, a full-size fridge and freezer, electric climate controlled cabin, 15-inch touch screen infotainment display, 10-inch instrument cluster display, 4G LTE internet and Wi-Fi, over the air software updates, panoramic windshield, sunroof, two full size beds, microwave and 42-inch television. Each of the features will be powered by the truck’s 320 kWh battery pack, alleviating the need to idle or run a separate generator. NMC claims the driver could theoretically stay in the cab with all the amenities on for almost a week without draining the batteries enough to initiate the turbine charge. Milton says the truck’s operational cost per mile is somewhere between 20-30 cents per-mile, roughly half of most diesel-powered semis. The Nikola One’s proprietary hardware and software also features platooning capabilities. Once testing is complete and government regulations allow, a single Nikola One driver will have the ability to virtually hitch and lead up to five driverless Nikola One trucks through NMC’s wireless vehicle network and self-driving technology. Virtual Hitch/Fleet Convoy technology is part of the truck’s hardware, and Milton says every Nikola One will come with it built in. 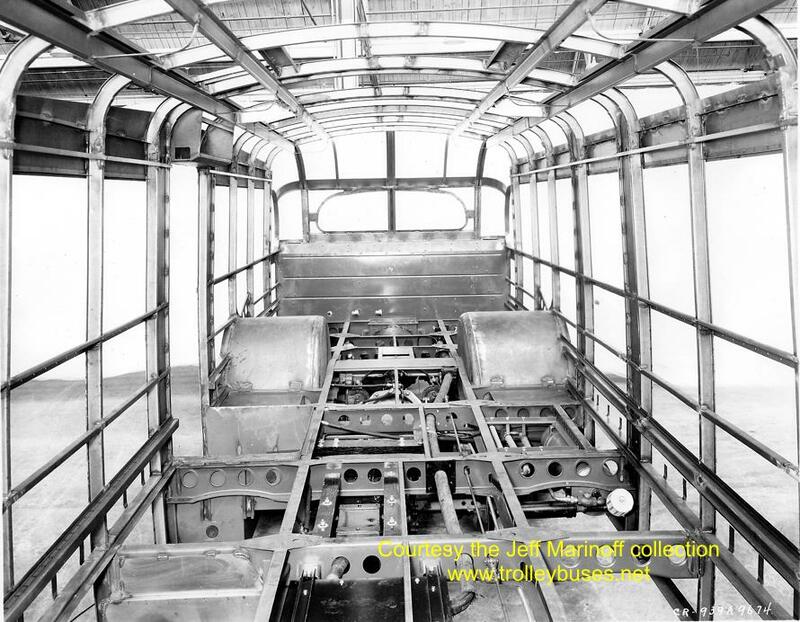 The first truck has been built and it is currently being tested internally. It will then undergo regular field trials to validate the technologies used. Related reading on micro-turbine powered hybrid tractors. 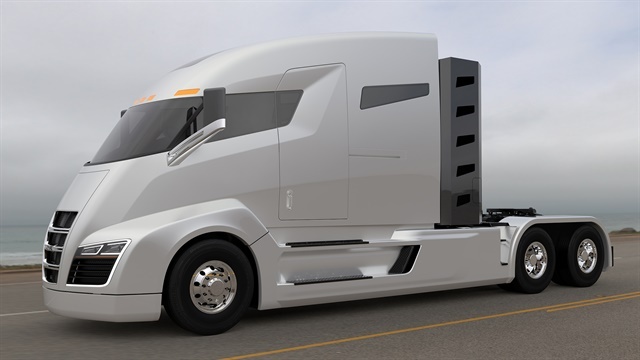 I'm all for new technology, but 2 items jump out at me regarding the Nikola One... they claim weight savings yet list the dry weight at 21,000 lbs making it at least 2 tons heavier than most standard sleeper trucks in service today. And although 3,700 lb/ ft of torque sounds impressive, how will wheels, tires, and other chassis components hold up to torque loads double what is common today? Nikola says that it will show off a working prototype on December 2nd in Utah. Nikola Motor Co. said it has received more than 7,000 reservations for its yet-to-be-unveiled electric Class 8 truck, the Nikola One. The company says the reservations represent $2.3 billion and were generated in the first month. Reservations for the electric truck are $1,500 and 100% refundable, according to its website. “Our technology is 10-15 years ahead of any other OEM in fuel efficiencies, mpg and emissions. We are the only OEM to have a near-zero emissions truck and still outperform diesel trucks running at 80,000 pounds. To have more than 7,000 reservations totaling more than $2.3 billion, with five months remaining until our unveiling ceremony, is unprecedented,” said Nikola Motor Co. CEO Trevor Milton. The Nikola One is capable of pulling 80,000 pounds with a range of more than 1,200 miles between stops. The truck has a 335-hp electric motor and dual gear reduction at every wheel, and offers a fully independent suspension — an industry first. “The Nikola One’s electric motors are powered by a liquid-cooled 320 kilowatt-hour, lithium-ion battery pack [more than 30,000 lithium cells], which is charged by a proprietary onboard Nikola Motor Co. turbine. The turbine automatically charges the batteries when needed and eliminates the need to ever plug in,” the company previously said. The company will unveil the truck Dec. 2 during an event in Salt Lake City for media and reservation holders and for certain fleets and leasing companies. “We believe we will pass the current market leaders like Daimler, Paccar, Volvo and Navistar in sales orders within the next 12-24 months. Just imagine the orders that will come in, once we begin taking dealer applications. We have shown other OEMs and their shareholders why they should be nervous about Nikola Motor Co. Some of the top Class 8 dealerships in America have reached out and are willing to either add our brand or move away from their existing brands,” Milton said. One of today's great ironies is that trucking – an industry notorious for being conservative in its outlook and slow to change – finds itself at the forefront of the technological revolution sweeping transportation today. That's because trucking, with its consistent high-mileage routes and (mostly) predictable routes is the perfect test bed for emerging technologies such as autonomous vehicles, alternative fuels, V2V communication, low-rolling resistance tires or self-diagnosing drivetrains. And now, you can add all-electric drivetrain to that list. I keep telling myself nothing technology-related can surprise me when it pops up in trucking anymore. But even I was taken aback in the past few weeks to see various developing technologies aimed at creating new all electric drivetrains for Class 8 commercial vehicles. Now, to be accurate, it wasn't the electric part of that news that surprised me. I'd said for several years now that I think all-electric trucks and vans will be an important arrow in a fleet manager's quiver in the years ahead. But the Class 8 component of the news did stop me in my tracks. Because I'd always assumed that given the current constraints on battery capacity and vehicle range, all-electric trucks would fill eventually fill a specific niche in urban, P&D applications. But even then I thought we’d see minimal penetration into Class 5 – but that would be about it. Earlier this month, a company called Nikola 1 announced it is developing a Class 8 electric truck with a natural-gas engine to mitigate range limitations. Even more interesting was the company's claim that it already has more than 7,000 orders – with deposits – in hand for the new truck. The numbers on the new truck are impressive. Nikola 1 is claiming the truck has a 100 percent electric 6x6 drivetrain and will cut per-mile fuel costs in half, compared to diesel trucks. One the business end of the drivetrain, the company says the new, electric drivetrain churns out 3,700 foot pounds of torque and a whopping 2,000 horsepower with a 1,200 mile range and will capable of running 1 million fuel free miles. Those are serious, Class 8 long-haul performance numbers that would be impressive with any fuel type or powertrain. If the truck performs as advertised, it has the potential to be a game-changer within the industry. At the very least, it's a terrific example of how quickly technology is shaking up trucking today. 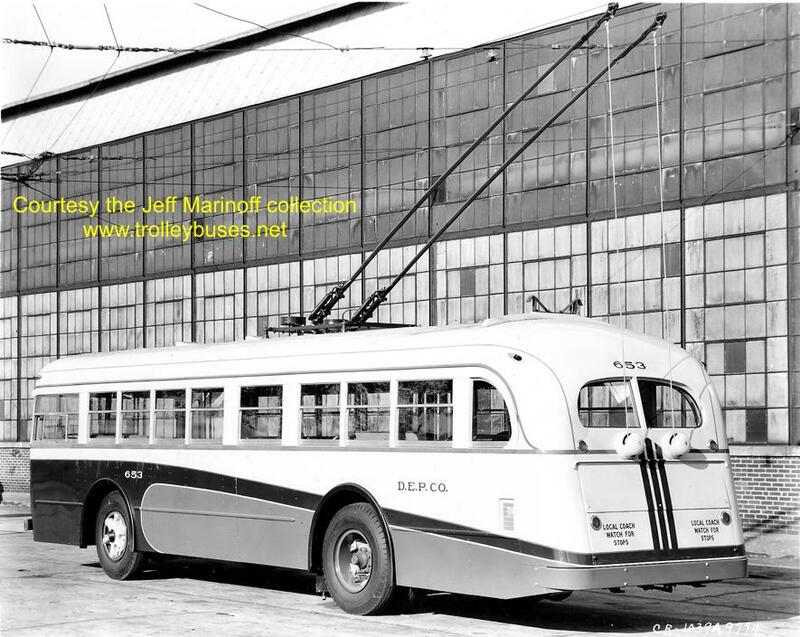 As a result, electric drive technology stagnated over the past 90 years or so in North America. 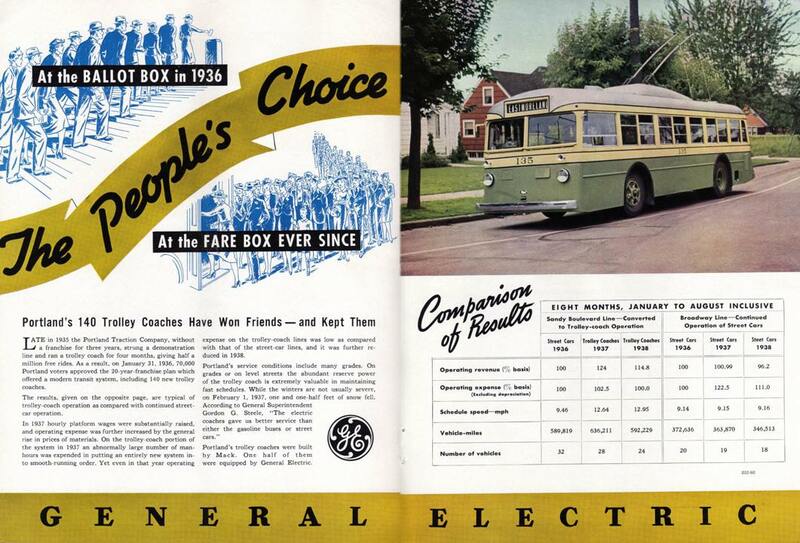 But the technology never faded completely away: Urban fleets in Europe – particularly in the United Kingdom – have been running electric vans and trucks for decades with excellent results. Here in the States, electric vehicles were pretty much limited to golf carts. But about 10 years ago, something funny started happening: People started getting old golf carts and customizing them for off-reading and hunting. They started showing up in suburbs as a quick, cheap and easy way to run the kids to the pool or head over the neighbors’ house for a dinner party. And over time, I think Americans slowly got used to the idea of electric-drive vehicles as safe, convenient, cheap and dependable means of short-range transportation. Which may explain why electric vehicles have hung in there: Two years ago, various news outlets, including Money magazine, were reporting that electric vehicles were fizzling as fuel prices fell from historical highs. But if Nikola is correct, a significant number of trucking professionals are now comfortable enough with the idea of an all-electric truck to at least give one a chance to prove itself. That's not to say that we're all going to be trucking off into the sunset tomorrow in an all-electric truck, of course. The real world is a brutal place in the trucking industry. And any new technology has to prove out before fleets will embrace it wholesale. But this unexpected move into the Class 8 market proves that trucking today has transformed from a conservative industry hesitant to try anything new into one where innovation is welcome – provided it brings real benefits and cost-savings to fleets out on the front lines. Nikola Motor Company will be powering its emissions-free Class 8 trucks with hydrogen fuel cells in the U.S. and Canada, the company has announced. The vehicles will make use of a custom-built, hydrogen-electric 800-volt fuel cell that Nikola said will be able to achieve nearly 20 mpg with zero emissions under fuel load and a range of over 1,200 miles between fill-ups. The company also said the trucks will surpass all government mandates, including the recently announced Phase 2 GHG standards. Nikola plans to produce hydrogen with zero-emissions solar farms that it is building and to have a nationwide network of over 50 hydrogen stations for customers by 2020. “The desire to be 100% emission free in the U.S. and Canada is a critical piece of our long-term engineering and environmental efforts, not just in vehicle energy consumption, but also in how energy is produced,” said Trevor Milton, CEO of Nikola Motor Company. “These solar farms will produce over 100 megawatts each and will use electrolysis to create hydrogen from water. Nikola announced the Nikola One zero-emissions Class 8 tractor earlier this year, offering reservations for the as-yet-unreleased vehicle for $1,500. The company received more than 7000 reservations for the vehicle as of August and will offer the vehicle through a truck leasing program. More information will be announced about Nikola’s nationwide sales, service and warranty network in the coming weeks, the company said. The vehicle is set to be unveiled on Dec. 1 in Salt Lake City. A CNG -turbine version of the Nikola One is planned for countries where hydrogen is not readily available. Nikola (pronounced Neek-oh-la) Motor Company recently announced that it achieved zero emissions with its electric-powered drivetrain. At that time, details about how Nikola achieved zero emissions were kept confidential pending finalization of key supplier agreements. Today, Nikola is announcing that the electric drivetrain used in the U.S. and Canadian markets will be powered by a custom-built hydrogen-electric 800V fuel cell. Nikola’s hydrogen class 8 trucks will be more powerful than any other production diesel truck on the road and have a range of over 1,200 miles between fill-ups. It will achieve nearly 20 MPG with zero emissions under full load, surpassing all the government mandates set forth for the next 10 years, including the EPA’s recently announced Phase 2 GHG standards. “The desire to be 100% emission free in the U.S. and Canada is a critical piece of our long-term engineering and environmental efforts, not just in vehicle energy consumption, but also in how energy is produced. Nikola will produce hydrogen via zero emission solar farms built by Nikola Motor Company. These solar farms will produce over 100 megawatts each and will use electrolysis to create hydrogen from water. Even our manufacturing facilities will be run off of zero emission hydrogen energy,” said Trevor Milton, CEO, Nikola Motor Company. More information will be announced about Nikola’s nationwide sales, service and warranty network in the coming weeks. Please see Nikola’s website for more information on the location of the future hydrogen stations. The CNG turbine version of the Nikola One will be available for other countries where hydrogen is not readily available. The startup has abruptly changed course with its battery-electric truck, opting for a hydrogen fuel-cell power train, instead. Hmm. 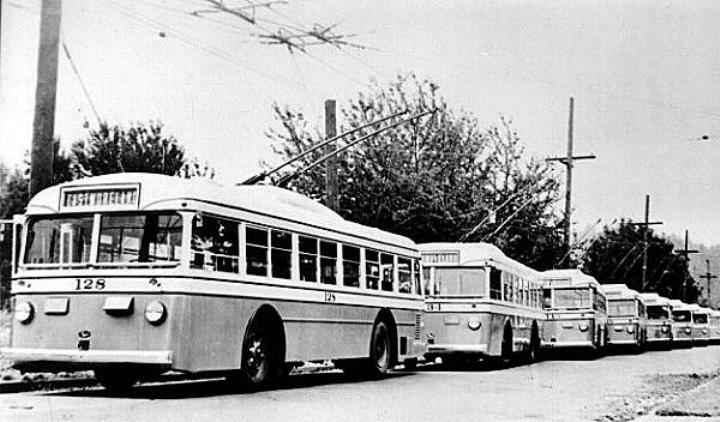 Remember Nikola Motor Company? The not-so-originally-named startup promised to break into the auto industry with a battery-electric semi truck cab, called the Nikola One. A number of folks put down deposits based on that information, but now, the company has changed the truck's method of propulsion, which is...worrisome. Nikola announced today that its Nikola One would feature a hydrogen fuel-cell power train. It's still electric, although it appears to ditch the natural-gas range extender in favor of hydrogen. The company claims this move makes its truck entirely emissions-free, which is good, but it's still a puzzling move. Here's why it's strange. A number of folks [allegedly] put down deposits on a $375,000 semi cab that was marketed as being entirely electric -- as in, you can plug it into the wall and take power from the grid, all across the country. Now, the trucks will be powered by compressed hydrogen gas, which relies on an infrastructure that's so far into its infancy it's barely experienced cell mitosis. All of a sudden, your ability to fill up around the country has disappeared -- and with it, I imagine, more than a few of those deposits, which I hope are refundable. To that end, Nikola's promised that it plans to produce its own hydrogen, via "zero-emission solar farms built by Nikola Motor Company," per its press release. The company said it will have over 50 filling stations in place by 2020. That's one per state. The truck's purported 1,200-mile range will help out there, because it may take hours to find a station, if you ever do. It's all just very strange. I, and many of my colleagues, still don't know what to make of all this. Either way, we'll know more once the truck is unveiled to the world on December 1 in Salt Lake City. 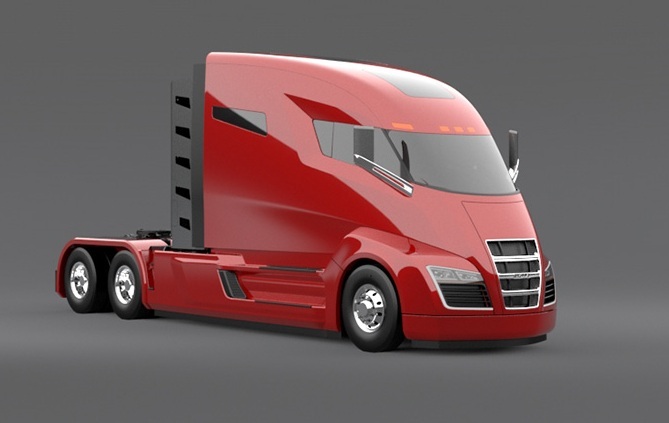 A few months ago, a new company called Nikola Motor came out of the blue and announced plans for a heavy duty electric semi that will revolutionize the way we look at trucks forever. It was so much better than our current diesel machines that we all felt like fools for not coming up with this idea sooner. Well, that was on paper, because in reality, the Nikola One isn't that good. In fact, it isn't at all, because nobody's seen even a square inch of its body. As far as everyone's concerned, it doesn't exist. Sure, the company says it will unveil it this December (that's four months from now, in case you were wondering) and also claims it has already received 7,000 pre-orders for the truck that had a combined value of over $2.3 billion. Not bad for a company nobody really knows that much about. 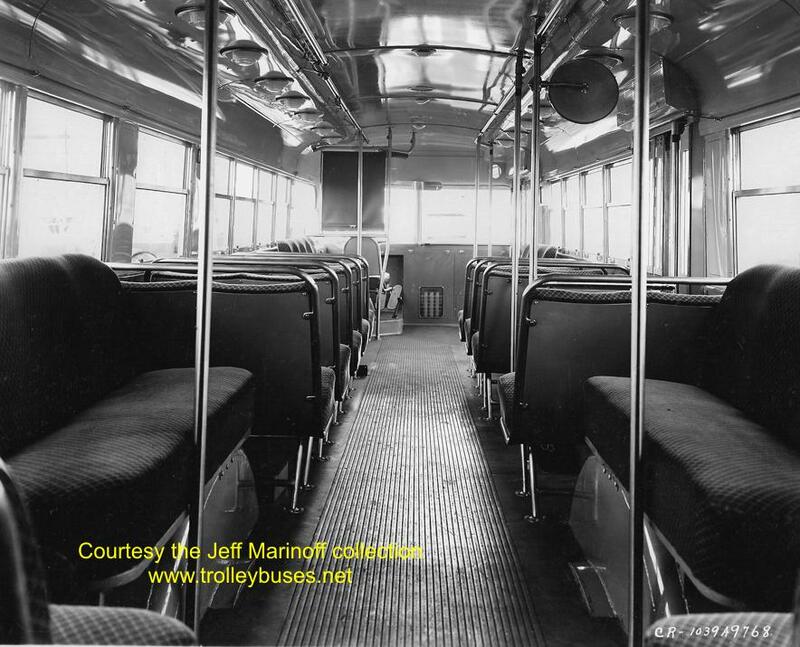 The initial concept relied on an onboard gas turbine to produce the required energy, a setup that may not please the purists as it would still produce emissions, but we all agreed it was still better than diesels. Besides, the Nikola One came with 2,000 hp of electric power and 3,700 Nm or 2,730 lb-ft of torque from zero revs, so it had everything going for it regarding its ability to move heavy cargo efficiently. On paper. Now, though, only three months after the first time this project broke cover and two months after the [alleged] 7,000 pre-orders were announced, the company issued a press release. In it, it announces nothing less than a complete change in the vehicle's powertrain. No, it won't get a diesel unit, but it will use hydrogen fuel cells instead. A "custom-built hydrogen-electric 800V fuel cell," to be more exact. Of course, this doesn't change the bombastic claims the company made about the truck. It will still be "more powerful than any other production diesel truck on the road and have a range of over 1,200 miles between fill-ups." Yes, on paper, which is where the Nikola One might live its whole life after all. Tesla co-founder explained why fuel cells would never work in transportation, and it's all down to the energy equation, which is "terrible." "[...] It turns out that the amount of energy per kilometer driven is just terrible. It’s way worse than almost anything else you can come up with." Right. There's no time frame on the solar farms, but Nikola Motors intends to have at least 50 hydrogen stations ready by 2020 across North America, so it would make sense if they were built sooner than that. It all sounds extremely optimistic and this major change in the vehicle's design will only raise more doubts. We'd be very curious to know how many of those [alleged] 7,000 orders still stand after this new information was released. They're promising too much... Like stopping in half the distance of a conventional truck. Sure, they can turn the regenerative braking up to the max and put on big air disc brakes... But all they're going to do is start locking the wheels on the same tires that conventional rigs use. Then the ABS cuts back on the braking, and their "electric" truck stops in the same distance as a conventional one... Hopefully they've tied the regenerative braking into the ABS? we've run 'flavour of the day' hybrid buses and while the regen braking is definitely better they can't be certified as such, wheel brakes only are used for stopping distance tests. The electric actuated brakes I've been reading about should be replacing air operated units but the friction brake will not disappear too soon. we've got about 200 hybrids, deliveries started in 2009.... now we are rushing to replace the battery packs which are all coming due for the 7 year life limit... at $67,000 each set.... 140 due this year!!! no one has yet proven to any of us that there are economic advantages in hybrid... they tried all this in the 1920's, I've worked on an old 1924 Tilling Stevens petrol/electric, and its just the microprocessors today that make it work better. 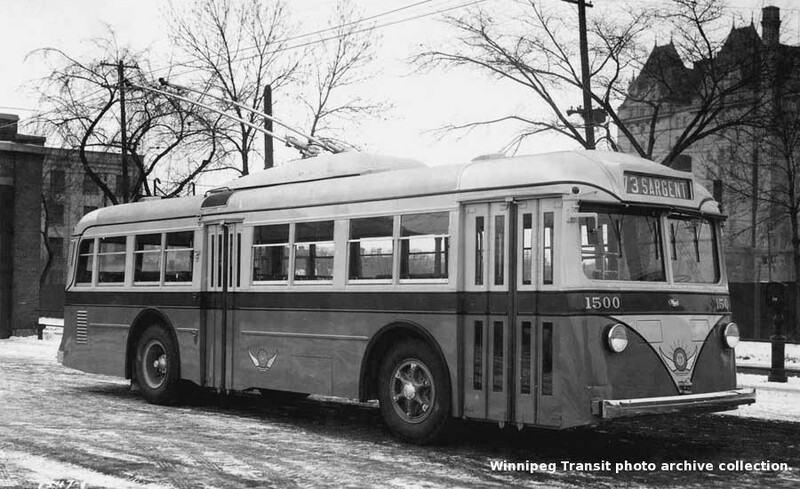 however, our trolley buses run on 600vDC overhead and they have been proven to cost about one third of a diesel or cng in $/km and life cycle costs (providing the overhead supply is already in place). is old new again? maybe we'll get steam back soon...!!!! I agree. 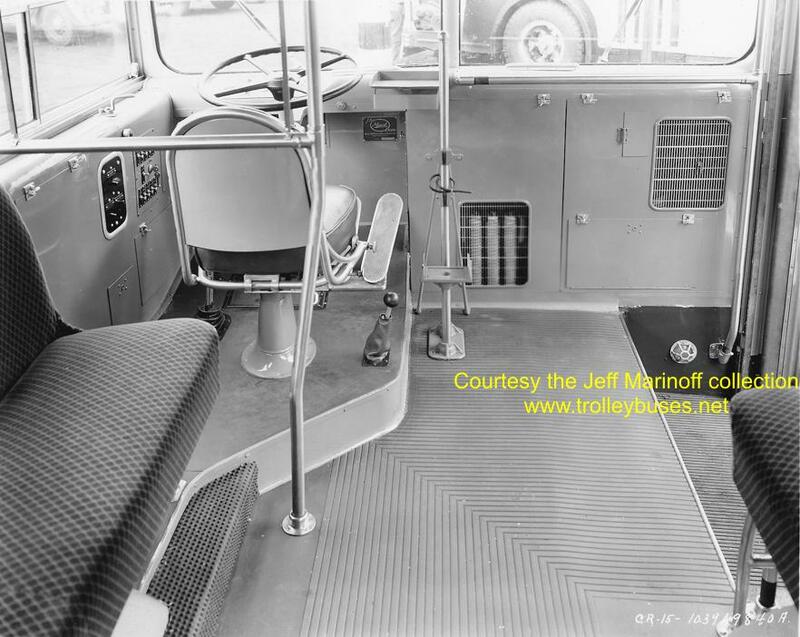 What we used to call a "trackless trolley' in the states, for example the Mack Trucks model "CR", actually is cheaper to operate. 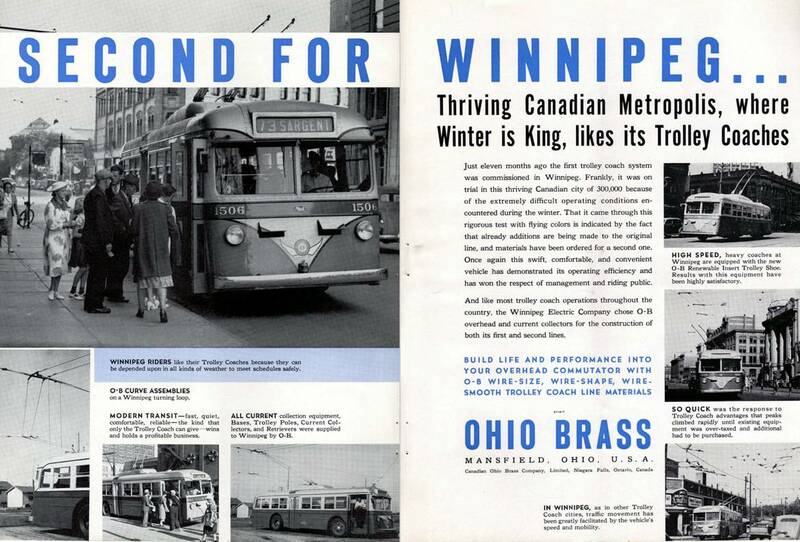 Cities across the world, largely with the exception of the U.S.*, use modern trackless trolleys (overhead-powered electric buses) today. 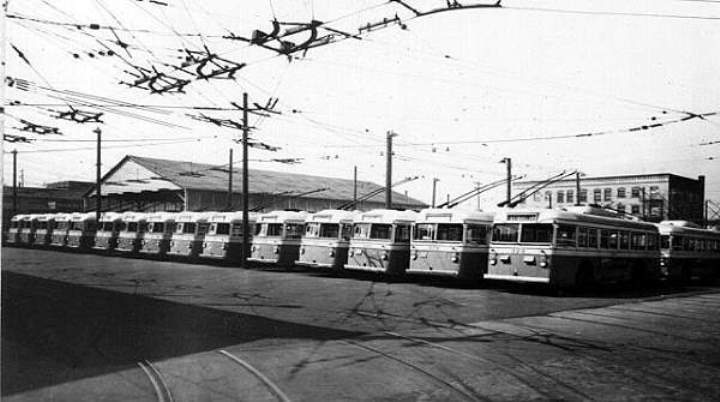 * San Francisco is the only U.S. city I know with a trolley bus fleet. Quoted from an above article: Here's why it's strange. A number of folks [allegedly] put down deposits on a $375,000 semi cab that was marketed as being entirely electric -- as in, you can plug it into the wall and take power from the grid, all across the country. Now, the trucks will be powered by compressed hydrogen gas, which relies on an infrastructure that's so far into its infancy it's barely experienced cell mitosis. All of a sudden, your ability to fill up around the country has disappeared -- and with it, I imagine, more than a few of those deposits, which I hope are refundable. Read about it at: http://www.mpoweruk.com/hydrogen_fuel.htm which says in part. "There are major design challenges to overcome to find suitable containers for storing Hydrogen. Due to its physical properties, the requirements for storage as a liquid are radically different from the requirements for storage as a gas. For automotive applications, where space and weight limitations apply, these problems can be acute. Whether it is stored as a liquid or a gas, containment is a also problem since Hydrogen molecules are very small and light, they are highly diffusive and tend to permeate through their container even at low pressures. From the initial announcement, when all they had to show were Photoshop pictures, and no photo of an actual concept truck in development, I wondered who at the center of this chain-jerking exercise. Tesla and Wrightspeed are real. But Nikola? We'll what they "show" in December. If it's real, there stands to be a major North American truckmaker behind them. Trevor Milton has been in the trucking industry for the better part of six years, but his big break came – like a meteorite through a skylight – earlier this year when he announced plans to build an electric Class 8 truck. Milton founded Nikola Motor Company (NMC) two years ago, named in homage to engineer and inventor Nikola Tesla. With the looming December launch of its electric drivetrain truck NMC is poised to become the Tesla of trucking. It’s fitting that Milton, who has fewer than 200 Twitter followers, only follows one account – Tesla Motor Company boss Elon Musk. Prior to establishing Nikola, Milton was CEO of dHybrid Systems, a company that made natural gas storage technology for trucking that was acquired in October 2014 by Worthington Industries. But Milton isn’t your typical trucking CEO. A co-founder of five start ups, he considers himself a “serial entrepreneur” and is fluent in Portuguese, English and is semi-fluent in Spanish. He also brings his dog to work every day. Unlike his electric passenger car contemporary Musk, who is a graduate of the University of Pennsylvania and the Wharton School of Business, Milton didn’t attend college. Nikola burst onto the scene in May of this year with promises of a fully electric, 2,000 horsepower Class 8 truck that provided an asphalt crumbling 3,700 ft. lbs. of torque after. That’s Thirty. Seven. Hundred. An on-board CNG turbine was supposed to provide a range of 1,200 miles to the truck’s 320 kWh battery pack. Next came the promises of zero emissions, an attractive buzzword as the EPA unfurled its Phase II emissions regulations in August. 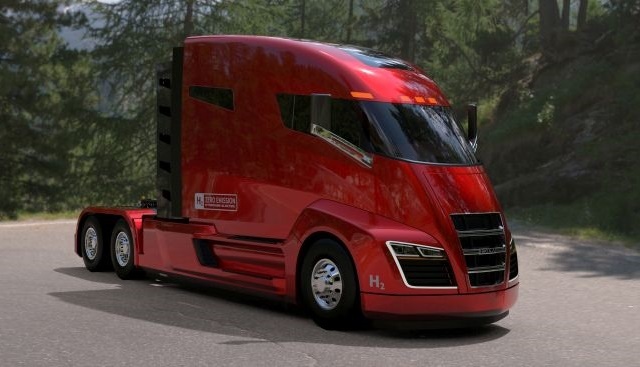 Then came a range extending hydrogen fuel cell, which just four months following its initial announcement supplanted a CNG turbine that will no longer be offered in the U.S. or Canada on the Nikola One tractor. The conversion to a hydrogen fuel cell also came with horsepower and torque downgrades. Milton says the company was forced to reconfigure horsepower output from the 800V AC motors to 1,000 and dial down torque to 2,000 ft. lbs. Equipped with a hydrogen fuel cell, the truck kept its 1,200 mile top range claims. In addition to the fuel cell, the batteries are constantly receiving power through rotational energy via regenerative braking technology. The decision to substitute the CNG range extender for hydrogen didn’t come without risk. Milton says more than 8,000 orders were already on the books for the CNG model. Less than a month after the switch was made, Milton says feedback has been mostly positive. Cancellations were practically non-existent and were more than offset by new orders coming in. “There’s better hydrogen credits with hydrogen than there is with CNG,” he adds. The trucking industry is nothing if not traditional, and NMC is further outside the box than any other company currently building trucks. Undaunted, Milton says Nikola One will find its niche with fleets and drivers tired of chasing EPA emission standards and looking to save some money along the way. About 70 percent of NMC’s customers are fleets, including large carriers who have ordered “thousands” of units, Milton says, adding his company’s sales pitch to-date has been not making a sales pitch at all. The majority of Nikola One orders, he says, have come from customer-initiated contact. Milton says his company is currently developing the hydrogen infrastructure to support its million-mile “free fuel” guarantee, with 56 strategically positioned hydrogen stations planned across the U.S. and Canada. There is currently a per gallon federal credit to the station owner, allowing Nikola to build those credits into the price of the tractor and give customers the pre-purchased fuel for the first million miles, Milton says. Meanwhile, there’s all those trucks that still need to be built. And those hundreds and hundreds and hundreds of employees have helped push the company, Milton says, to the forefront of its segment. Innovations in trucking are nothing new and with diesel prices fairly low compared to recent history, NMC has its share of doubters for long-term viability. But Milton says there are plenty of differences between his company and those who may have come – or gone – before it. The development of Nikola One has largely been built and developed with Milton’s money and funding from partners. Milton says the 8,000-plus $1,500 deposits plopped down to secure a model pre-launch is sitting untouched in an escrow account. Milton is currently working to build the NMC sales and service network, the details of which he expects to announce in about 80 days when the sheet is fully pulled off Nikola One – an event he expects will be attended by more than 500 people, including a likely handful of naysayers. 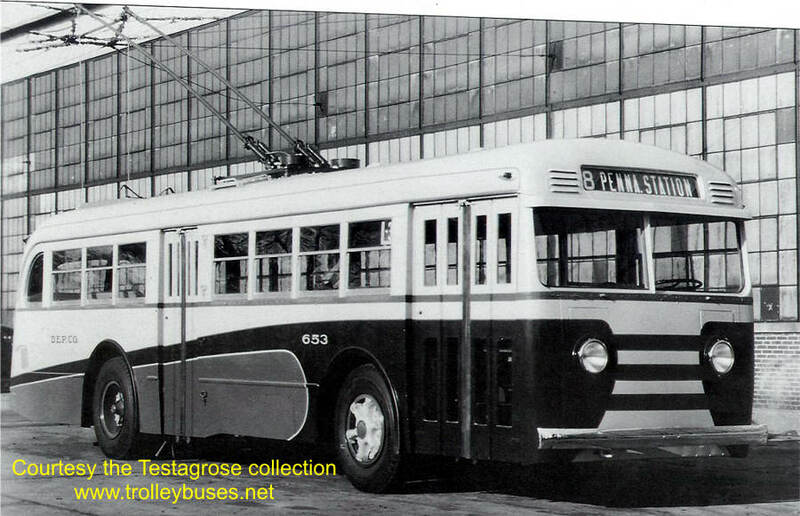 we paid many millions for twenty custom built NewFlyer city transit buses for Whistler prior to the 2010 winter olympics.... 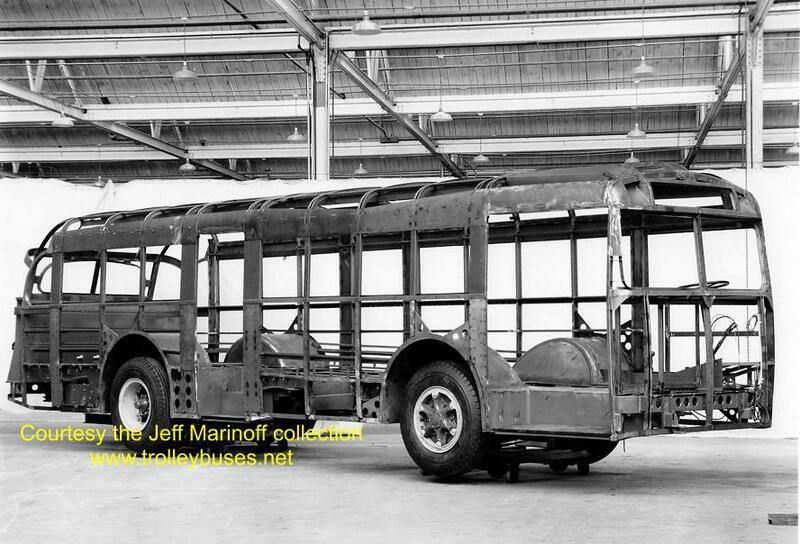 I think it was 2.6mil each, big plans by our gov and california to build a supply chain down the left side of america..
the fuel..... was trucked from Quebec, 3000km away into a $1.2mil storage facility built just for these 20 buses. all was folded up a few months after the games finished and saw no bidders at auction last year, so they went for scrap. gotta give the guy an A+ for BS.... for while he has grasped an idea held my many others in the past he has put the cart in front of the horse. I did read that the energy taken to obtain and transport hydrogen cost more than the energy gained from the product.... sort of like getting our gasoline from farm fields.... and then buying produce from Mexico. You're right BC. This is all a bunch of BS. This fellow is full of it. Upstart commercial vehicle maker Nikola Motor Company is on track to unveil its flagship product, the Nikola One electric Class 8 truck, at a launch event on Dec. 1st. In addition to the Nikola One, the company will also reveal its plans for its network of hydrogen fueling stations in the U.S. to support its hybrid-electric truck. The Nikola One is a hydrogen-powered electric vehicle that is projected to have a range of 800 to 1,200 miles between fillups with an effective fuel economy of 15-20 mpg under full load. The vehicle will also produce zero emissions, according to Nikola, surpassing the government’s standards including the EPA’s new Phase 2 greenhouse gas standards. By using hydrogen to power its electric motor and batteries, the Nikola One can hoffer an extended range over a traditional plug-in electric vehicle while generating fewer emissions than a comparable diesel or alternative fueled hybrid, per the company. In a move that mirrors Tesla Motors, the company has been taking reservations for the unreleased Nikola One truck, which the company says has totaled nearly $3 billion in the first 30 days of availability.